This was an easy deck to do, because megaswfan came up with such a good design, and we just kind of stuck with it. 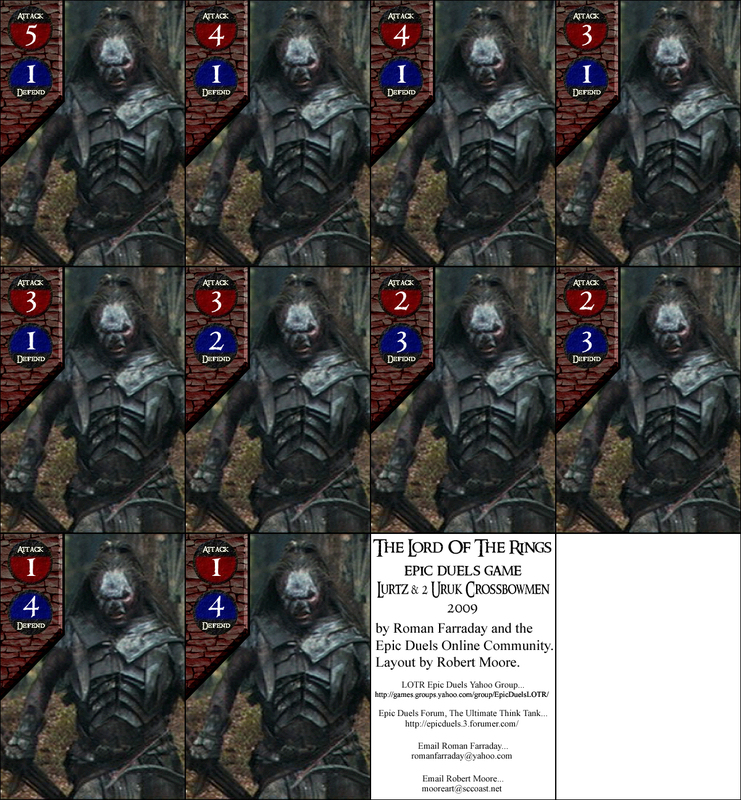 A4*, *If Lurtz does damage with this card, the player controlling the defending character cannot draw cards during his/her next turn. A5*, *This card may only be used to attack adjacent characters. If the player controlling the defending character used less than 2 actions during their last turn, the attack value of this card is 8. 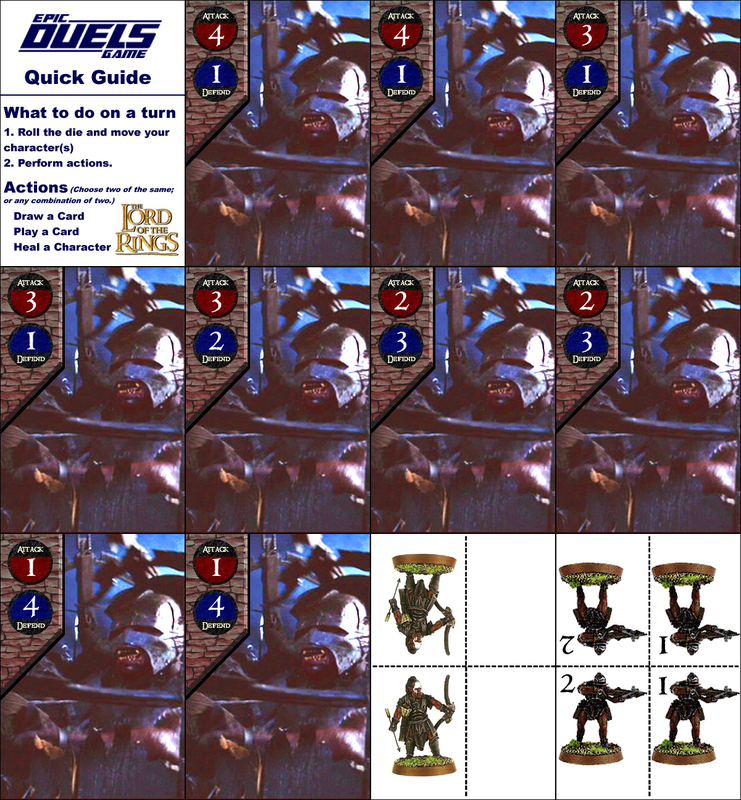 A7 – Draw 2 cards. 2x Shield Throw: Lurtz does 2 damage to any character he can attack. Controlling player loses an action on his next turn. Move Lurtz up to 5 spaces. Draw a card. 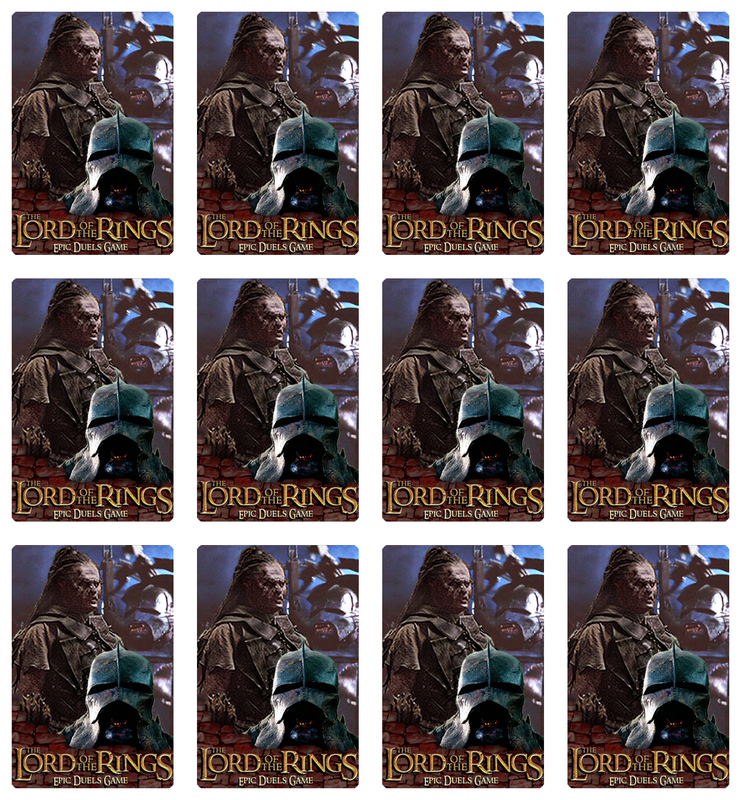 Choose any character adjacent to an Uruk Hai Crossbowman. 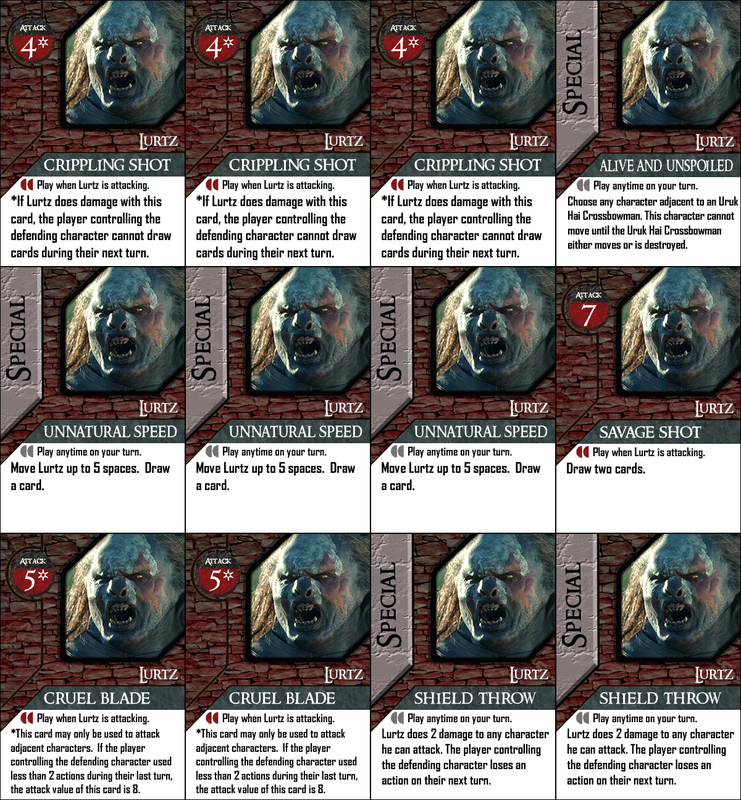 This character cannot move or attack any character besides the adjacent Uruk Hai until he/she takes damage, or the adjacent Uruk Hai moves. 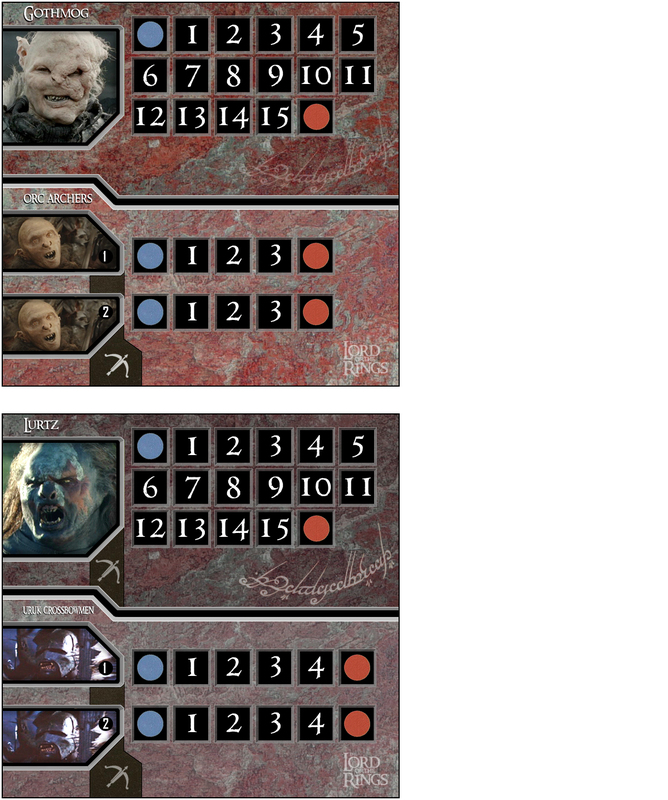 Notes: Lurtz could stand to be a tad more powerful in the LOTRED set, as he is sort of the Jango of this group. He has enough to get it done, but I’d probably raise SAVAGE SHOT to an A9.